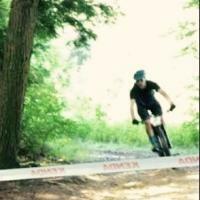 Forums › Mountain Bike Forum › New Bike! Pulled the trigger on a new bike the other day and just got some pictures from my LBS that its all built up! The only problem is I won’t be able to ride until Sunday 🙁 Anyone have tips on how to make it the next few days without riding?! 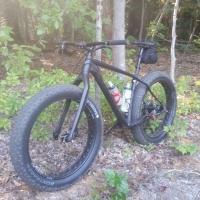 Anyways, the bike is a Specialized Fuse Expert 6Fattie, using the new 27.5+ tires. Can’t wait to get out and let this thing rip! First time on plus size wheels of any sort and super stoked to get out on the trail! Pictures and review to come once I can put down some miles! Sorry No tips! Could not do it. If I get a new bike I must go ride it NOW! Got my Cervelo road bike and took it out in 18F and snow. Good luck! Enjoy that nice bike!